The second instalment of the advert officially aired on STV on Saturday at 8.45pm. 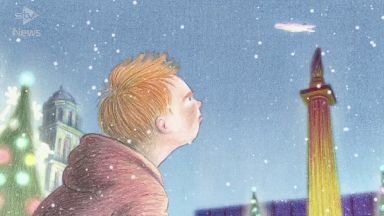 Irn-Bru has given Scots an early Christmas present this year with the release of its long-awaited Snowman advert. The second instalment of the ad officially aired on STV on Saturday at 8.45pm, where X Factor viewers caught an exclusive showing of the sequel. Fans will remember how, after flying through the air above a magical Scottish winter wonderland, a boy annoys his friend the Snowman, who swipes his can of Irn-Bru and sends him tumbling through the skies to a land in a snowy George Square. Now, 12 years on, they get to find out what happened next. 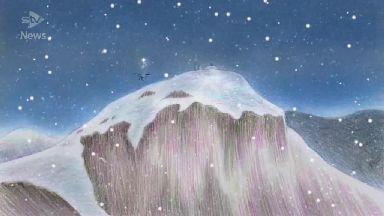 Many of the animators who worked on the original ad have been reunited to complete the sequel at animation studio Lupus Films under the supervision of director Robin Shaw. Marketing director, Adrian Troy, said: "We know Christmas isn't Christmas in Scotland without the Irn-Bru Snowman, so we're thrilled to be continuing the story and letting everyone find out what happens next. "We're sure this twist to the tale will be a real hit and a great way to kick-start the Christmas celebrations. "The story will be revealed for the very first time on STV and Facebook during X Factor this Saturday night, so make sure you don't miss out and, finally, have a Phenomenal Christmas!"